New England is renowned for its vibrant Autumn season, but for roofing contractors the Fall comes with a host of unique challenges. The best way to protect your home or commercial property is to have a clear picture about the condition of your roof, and to take corrective measures before the snow starts to fall. Luckily, you still have time before winter rolls in, so we’ve put together this guide to help you anticipate the seasonal risks and create a plan for securing your roof. How old is your roof? When was it last inspected? Replaced? What is your roof made of? Asphalt shingles? Ceramic tiles? Tin panels? What system of drainage do you use? Gutters? Flat roof drains? How old is your drainage system? When was it last inspected? Replaced? Every home and commercial property is different, but no matter where you’re located it’s crucial that your roof is well maintained. 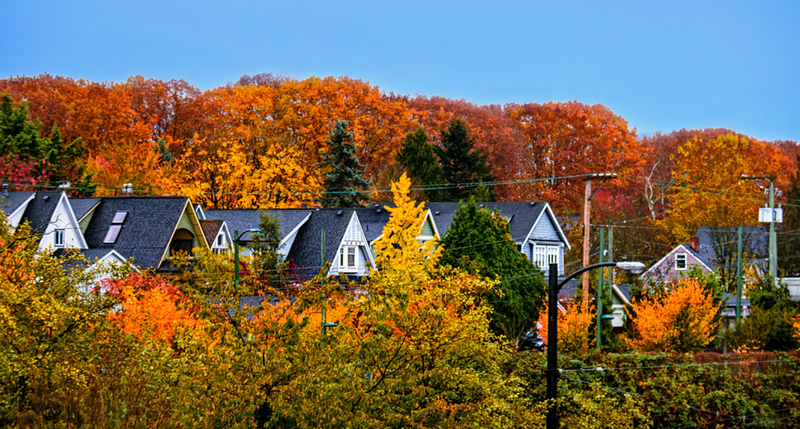 Believe it or not, most of the biggest winter risks to your roof can be resolved by staying proactive in the Fall. For example, you can avoid ice build-up and drainage problems by making sure your gutters are clear and working properly. Taking the extra time to gather information on your roof will protect your home from issues that you might not have considered. The truth is that small imperfections in your roof are open invitations to nature, both in terms of weather and the critters that live nearby. When the temperature drops and the seasonal storms roll-in, your property needs to be secured against these unwanted guests. Birds, raccoons, mice, and even opossums are known for creating large openings from the smallest cracks in your roof. If left unchecked, these vulnerabilities can weaken your roof’s integrity and may lead to higher energy costs for your property. An efficient drainage system is one of the most important features of a well-maintained roof. Without professionally installed gutters (or some other form of drainage) your home or commercial property could be at risk of severe property damage. That’s why checking the pitch and alignment of your gutters is an important seasonal task, almost as important as keeping them clean. 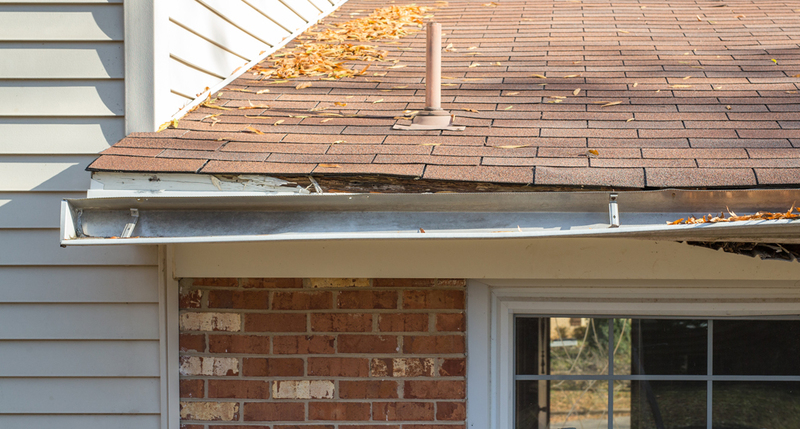 Misaligned gutters struggle to channel water and snow-melt away from your roof, leading to incidents of overflow that may threaten the facade and foundation of your property. This issue is multiplied if your gutters are choked with leaves and debris, which can put unnecessary strain on the brackets holding your gutters in place. We suggest cleaning out your gutters every 2-3 weeks to ensure your roof can keep up with the rain and snow. Winter is without a doubt the worst season for your roof, so it’s easy to forget that the Fall (New England’s hurricane season) has a few severe risks of its own. The heavy winds and prolonged rainfall brought on by seasonal storms can cause moisture to pool on your roof, damage your shingles, and even misalign your gutters. That’s why it’s so important for property owners to have a strong idea about their roofs’ vulnerabilities–if a problem exists the Autumn storms will find it for you, and make it worse. The best way to ensure your roof’s integrity is to stay alert and proactive. Regularly inspecting your roof’s condition can help you quickly identify storm damage or problems with your drainage system. If left unchecked, these minor issues could become severe and costly. 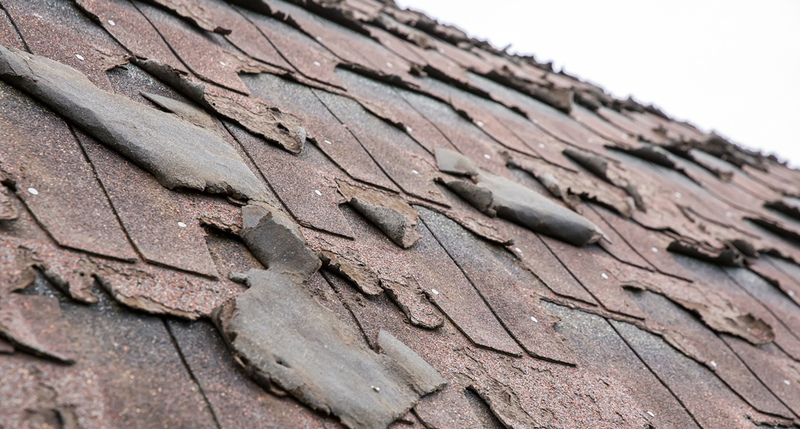 Be sure to keep any eye out for loose shingles or lingering patches of moisture, and consider how the surrounding environment might pose a threat during a heavy storm. If you’re worried about the condition of your roof, the best course of action is to seek out the professional opinion of a licensed roofing contractor. We can help you identify your roof’s weak points and offer long-term solutions that can protect your home or commercial property all year long. Our expert roofing team has helped secure families around New England by anticipating these seasonal risks. We will work with you to evaluate the structural integrity of your roof, test the effectiveness of your gutters, and develop a strong winter defence plan that can keep your property safe.